Ireland is an island in the North Atlantic, close to Great Britain. It is home to 9 world-renowned universities and 14 Technology institutes, which are distributed throughout the country. Its capital city, Dublin is placed among the top thirty global cities with a ranking of “Alpha-” by the Globalization and World Cities Research Network. Half of the world’s top 50 banks and many of the top 20 insurance companies are located at Dublin’s International Financial Services Centre. Dublin is home to several multinational IT companies such as IBM, Google, Microsoft, Facebook and Twitter, with their facilities located in its enterprise clusters like Digital Hub and Silicon Docks. Ireland is the second largest exporter of computer and IT services in the world. With its successful FDI policies, Ireland hosts the top 3 global enterprise software companies while most of the top 5 IT services companies and the top 10 global software companies have active presence there. Ireland is not only the data centre location of choice for many of the multinationals, it’s also evolving into a global cloud centre of excellence. Ireland’s ICT sector accounts for 50 billion euros of exports per year. The thriving ICT industry in Ireland finds concentration around Dublin, Cork, Galway and Shannon / Limerick. They operate in the four core areas, namely, hardware, software, digital content and platforms, and IT services. In the today’s fast paced environment, agility and adaptability are key success factors for any business, irrespective of its size. Enterprise software solution providers like SAP offer the platforms and tools that enable enterprises to succeed in the highly competitive, ever-changing business landscape. Since 1997 SAP Global Support Centre Ireland has become a key player in the delivery of service and support to SAP customers worldwide. SAP has its presence in Ireland through its local offices that manage implementations for businesses both within Ireland and in the neighbouring European countries. In addition, SAP has over 15 implementation partners in Ireland, for its wide range of business software solutions. SAP partners have implemented SAP solutions in a wide range of sectors such as Manufacturing, Engineering and Construction, Pharmaceuticals, Distribution and Finance. SAP Ireland employs over 1200 people across its 35 lines of business and has its offices in Dublin and Galway. It offers its prospective employees a wide range of roles to choose from, including research and development, roles spanning the entire software development lifecycle, customer service project management, partner management, multimedia design, account management, communications and the various support roles including cloud, IT and multi-lingual support. With its varied career development offerings, SAP is ranked 7th in the list of Best Workplaces in Ireland. ‘Opportunity Finder’ is an internal recruiting platform provided by SAP along with ‘Career Navigator’ that allows its employees to find new opportunities within SAP. Various ‘Online & Self-Paced Learning’ opportunities are offered to enable functional as well as cross-functional learning. SAP supports early talent, experts, fast-trackers, leaders, women, and differently abled colleagues through its ‘Tailored Talent Support’ program. SAP promotes peer learning culture with its award-winning coaching and mentoring programs that is free for all employees. It’s ‘Beyond-the-Job Experience’ program opens up opportunities for new work experiences through fellowships and job rotations both at home and abroad. SAP Ireland empowers many of Ireland’s leading enterprises including Allied Irish Banks, Bank of Ireland, CIE, Eircom, Elan, Glanbia, Guinness, Irish Distillers, and Ryanair, to mention a few. From 40 customers in 1997 when SAP Ireland began its operations, there are now over 240 customers. Some seven out of the top 10 Irish plc. companies use SAP solutions. SAP teams in Dublin are responsible for service and support, sales, financial shared services, IT support and quality engineering for application and technology releases for its large customer base. Dublin is also home to SAP Business Objects’ Research and Development Centre, which develops software applications for business analytics in their newly established ‘AppHaus’ – a fast paced, agile, innovative space created for their engineers to promote collaboration, foster creativity, and to provide the flexibility to adjust to changing needs of technology. 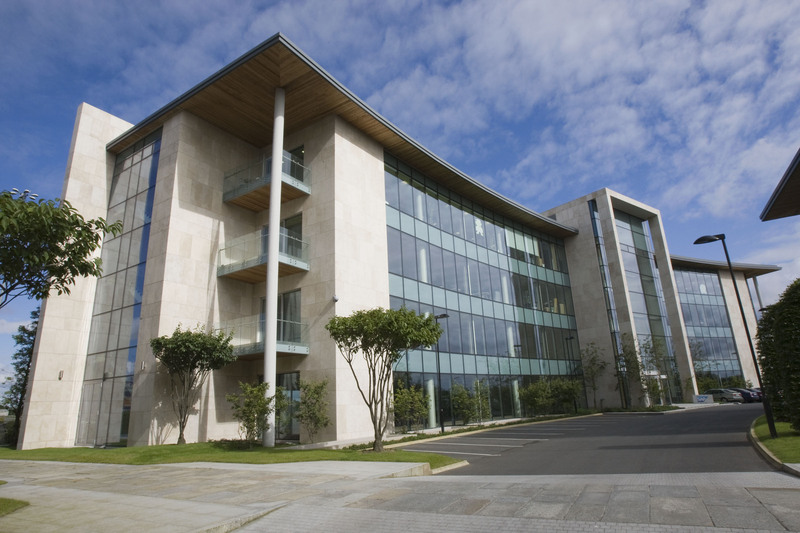 SAP’s operation in Galway is a multilingual service and support centre for SAP’s SME and Multinational enterprise sectors. It has teams responsible for Cloud Services, IT Support, Technical Writing, E-Learning, Translations, License Auditing and Partner Services. It covers 29 languages and has people from 50 nationalities. All over the world, some of the common trends that can be noticed in the business landscape today include cloud adoption, comprehensive reporting, big data and adoption of artificial intelligence and machine learning techniques. SAP has been building solutions to address the challenges that arise with these trends. SAP HANA is a high-performance computing application that uses in-memory database as opposed to data from hard disk in order to enable the processing of massive amounts of real-time data in a very short time. SAP HANA Cloud Platform is an open platform-as-a-service that provides unique in-memory database and application services.SAP NetWeaver Process Integration platform provides tools that enable creation of service-oriented architecture for business applications. In Ireland, strong SAP professionals with the necessary, specific skill-sets are sought after in areas such as FI, CO, SD, MM, WM, BW, PP, PS and HCM across configuration, implementation, analysts and project management roles.SAP OTC Consultant (OTC, FD, SD, SaaS) are in demand for many multi-national organisations. The UK and Ireland SAP Users Group is an independent not-for-profit organisation for users of the SAP ERP software. Formed in 1988 by a group of SAP users from organizations, its serves to facilitate networking and knowledge exchange amongst members and provide an independent voice for SAP users in the UK and Ireland. It has over 4000 members registered with 500 companies based in UK and Ireland that come from private, public and charitable sectors and working in the areas ranging from Business One to Business ByDesign to Business Suite, S/4 HANA and BusinessObjects.This active group provides a neutralonline JAM collaboration platform that lets members network and exchange experiences among themselves. Several case studies demonstrate the successful adoption of SAP solutions across industry verticals in Ireland. For instance, Rottapharm Madaus is a medium sized pharmaceutical company located in Dublin. SAP Business All in One (AIO) was selected as Rottapharm’s new solution and was deployed with SAP Process Integration (PI) to enable interfacing between SAP components and their 3rd party systems.The solution was integrated with existing manufacturing execution systemwith minimal interruption to their MES processes.SAP Business All-in-One was also implemented at the Irish Food manufacturer, Silver Pail Dairy and at Carroll Cuisine, an Irish producer and distributor of branded cooked meats. Lloyds Pharmacy Group implemented the SAP Industry Solution Retail (ECC 6.0) solution including business warehouse, point-of-sale data management and merchandise industry management. One of the emerging trends in Ireland’s ICT landscape includes agile Big Data that necessitates rapid change in the information system with the change in the business. Big Data has been successfully utilized in the areas ofpredictive analytics, fraud detection, customer experience management and cost optimisation. Technology in HR management is another area that ensures decisions are made on fact using Big Data analytics. Gamification is yet another area that is being employed toinfluence sales behaviours to win deals. Some of the technology trends that are emerging in Ireland include Social commerce wherein commercial activity is initiated in a social media platform. SAP Hybris Commerce addresses this need. Machine learning is another area that is being explored by organizations for a variety of needs including analysis of big data and solving problems such as bias in recruiting practices and the enormous time it takes in the invoice-matching process. SAP Service and Support Centre (Ireland) Ltd.
Business Objects Software Ltd. t/a SAP Solutions.